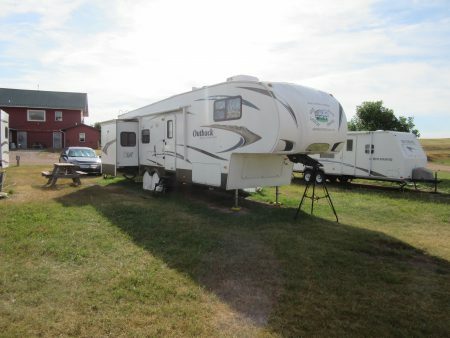 Lot: This is a small sized park. The lots are gravel based and level. 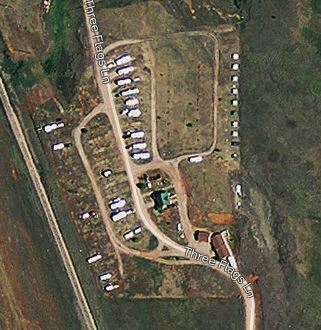 There are some pull through lots and some back-in lots. The park is maintained adequately. There are no trees, but that’s not unusual in this area. I did come home to find a tumble week under my truck. 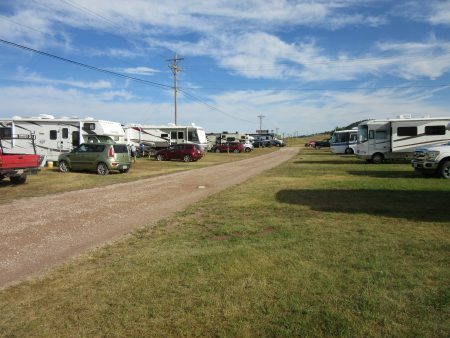 Positives: The Park is adjacent to the interstate and only a few miles from Rapid City. 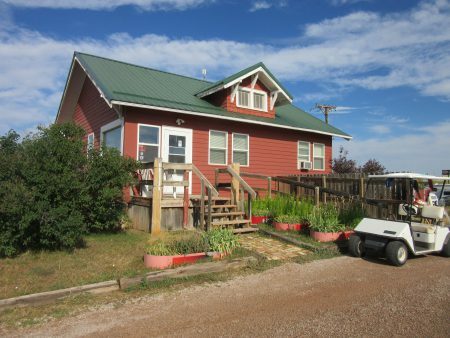 This is a great location to enjoy the area (Mount Rushmore, The Bad Lands, Deadwood, Sturgis are all a short drive away). 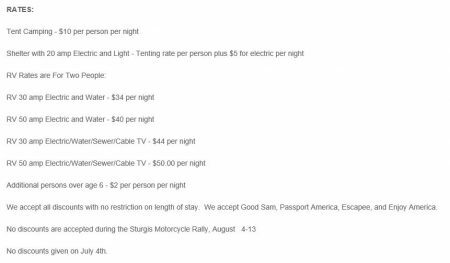 The Passport America discount is available for an unlimited number of days (with the exception during the Sturgis Motorcycle Rally and the Fourth of July). There are no long-term campers in this park. Negatives: While we were here the pump went out on their water, so we went a day or so without water. Management did come around with a water carrier to fill our fresh water tank at no charge so it all worked out. I guess the only negative we found was lack of shade. 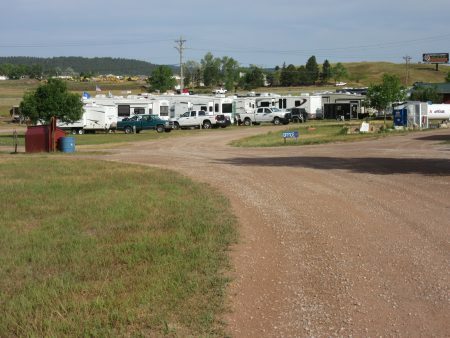 This park is set to accommodate campers to see the sights of this part of South Dakota. 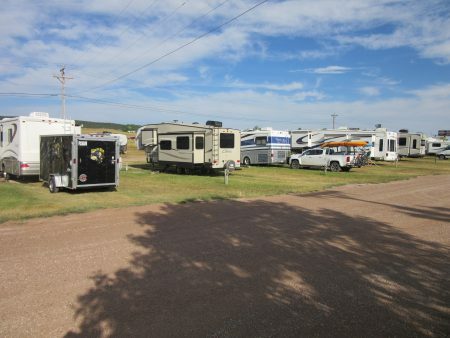 There are several RV Parks in and around this area. 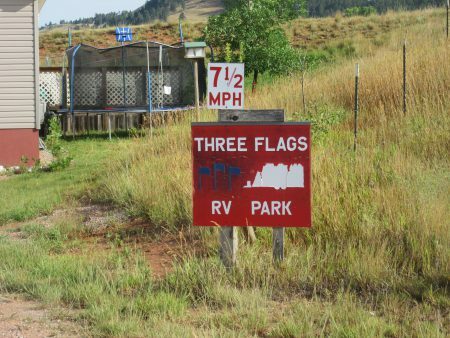 Three Flags may not have the most amenities (no pool, etc.) 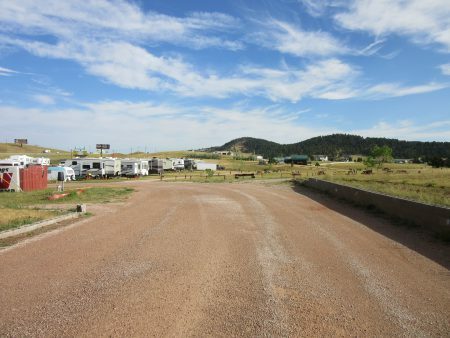 but to park your RV and see the sights this park is a good choice and the location is excellent.